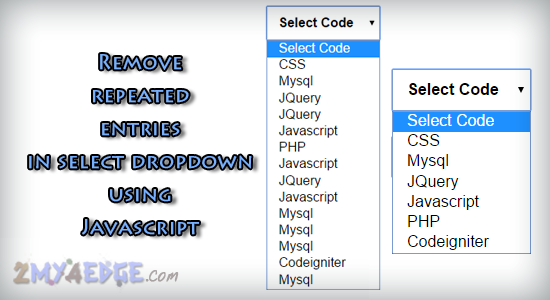 We have avoid the repeated duplicate entries in php dropdown select, so that we are going to use script to avoid that. let see the clear code. in the script, the red high lighted is mentioned in the above html code, there one removed repeated duplicates and another one is non removed. Better use you DISTINCT in your sql query. is a great solution to make your web development process simple, cost effective and efficient.